Hide deals from seller "Chicago Family Fit"
Limit 1 per person. Valid on 60-minute private personal training session. New clients only. By appointment only. Promotional value expires 60 days after purchase. 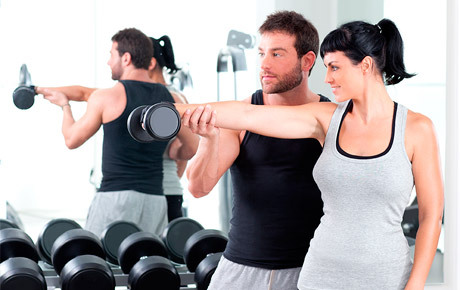 Stay active and healthy with 50% off a 60-minute private personal training session at Chicago Family Fit in Park Ridge ($80 value). This offer includes a pre-workout health and fitness consultation where fitness goals and strategies are discussed. Owner, Kyle Zelazny, holds a bachelor’s degree in exercise and nutrition in addition to his strength and conditioning certification. He boasts experience developing programs for a variety of special populations including those with back problems and joint problems, heart attacks, stroke, Alzheimer’s/Dementia, high blood pressure, diabetes, osteoporosis and learning disabilities. Through education, healthy lifestyle modifications and exercise, Chicago Family Fit promotes a well-rounded approach to help people invest in themselves. Personal training fitness center that promotes healthy lifestyles through education and exercise.